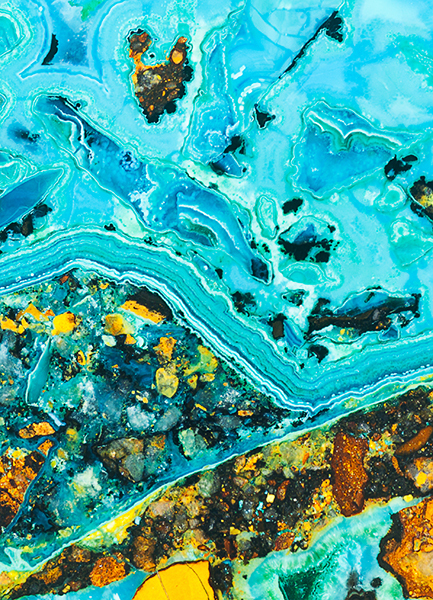 The name Chrysocolla is derived from the Greek words, chrysos meaning gold and Kolla meaning glue. Malachite, which gives this specimen its blue/green colour, comes from the Greek word for mallow, a green herb. Photo © copyright by Graham Chalmers.